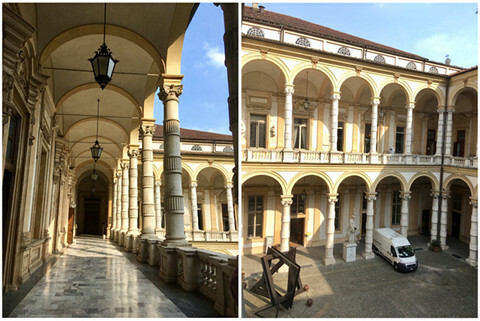 Gudrun met the USA-based mathematician Roza Aceska from Macedonia in Turin at the Conference MicroLocal and Time-Frequency Analysis 2018. The topic of the recorded conversation is dynamical sampling. The situation which Roza and other mathematician study is: There is a process which develops over time which in principle is well understood. In mathematical terms this means we know the equation which governs our model of the process or in other words we know the family of evolution operators. Often this is a partial differential equation which accounts for changes in time and in 1, 2 or 3 spatial variables. This means, if we know the initial situation (i.e. the initial conditions in mathematical terms), we can numerically calculate good approximations for the instances the process will have at all places and at all times in the future. But in general when observing a process life is not that well sorted. Instead we might know the principal equation but only through (maybe only a few) measurements we can find information about the initial condition or material constants for the process. This leads to two questions: How many measurements are necessary in order to obtain the full information (i.e. to have exact knowledge)? Are there possibilities to choose the time and the spatial situation of a measurement so clever as to gain as much as possible new information from any measurement? These are mathematical questions which are answered through studying the equations. The science of sampling started in the 1940s with Claude Shannon who found fundamental limits of signal processing. He developed a precise framework - the so-called information theory. Sampling and reconstruction theory is important because it serves as a bridge between the modern digital world and the analog world of continuous functions. It is surprising to see how many applications rely on taking samples in order to understand processes. A few examples in our everyday life are: Audio signal processing (electrical signals representing sound of speech or music), image processing, and wireless communication. But also seismology or genomics can only develop models by taking very intelligent sample measurements, or, in other words, by making the most scientific sense out of available measurements. The new development in dynamical sampling is, that in following a process over time it might by possible to find good options to gain valuable information about the process at different time instances, as well as different spatial locations. In practice, increasing the number of spatially used sensors is more expensive (or even impossible) than increasing the temporal sampling density. These issues are overcome by a spatio-temporal sampling framework in evolution processes. The idea is to use a reduced number of sensors with each being activated more frequently. Roza refers to a paper by Enrique Zuazua in which he and his co-author study the heat equation and construct a series of later-time measurements at a single location throughout the underlying process. The heat equation is prototypical and one can use similar ideas in a more general setting. This is one topic on which Roza and her co-workers succeeded and want to proceed further. After Roza graduated with a Ph.D. in Mathematics at the University of Vienna she worked as Assistant Professor at the University Ss Cyril and Methodius in Skopje (Macedonia), and after that at the Vanderbilt University in Nashville (Tennessee). Nowadays she is a faculty member of Ball State University in Muncie (Indiana). Overview on sampling theory and applications: M. Unser: Sampling-50 years after Shannon Proceedings of the IEEE 88 (4) 569 - 587, 2000. Dynamical sampling: R. Aceska, A. Petrosyan, S. Tang: Dynamical sampling of two-dimensional temporally-varying signals International Conference on Sampling Theory and Applications (SampTA), DOI:10.1109/SAMPTA.2015.7148929, 2015. DeVore, Ronald, and Enrique Zuazua: Recovery of an initial temperature from discrete sampling, Mathematical Models and Methods in Applied Sciences 24.12 (2014): 2487-2501, 2014. Evolution operators involved in dynamical sampling: S. Tang: System identification in dynamical sampling, Advances in Computational Mathematics 43 (3) 555–580, 2017. On Bessel systems, bases and frames in the dynamical sampling setup: A.Aldroubi e.a. :lterative actions of normal operators Journal of Functional Analysis 272 (3), 1121-1146, 2017. 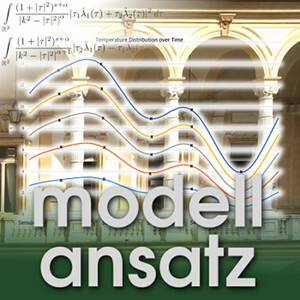 G. Thäter, E. Zuazua: Waves, Conversation in Modellansatz Podcast Episode 054, Fakultät für Mathematik, Karlsruher Institut für Technologie (KIT), 2015.